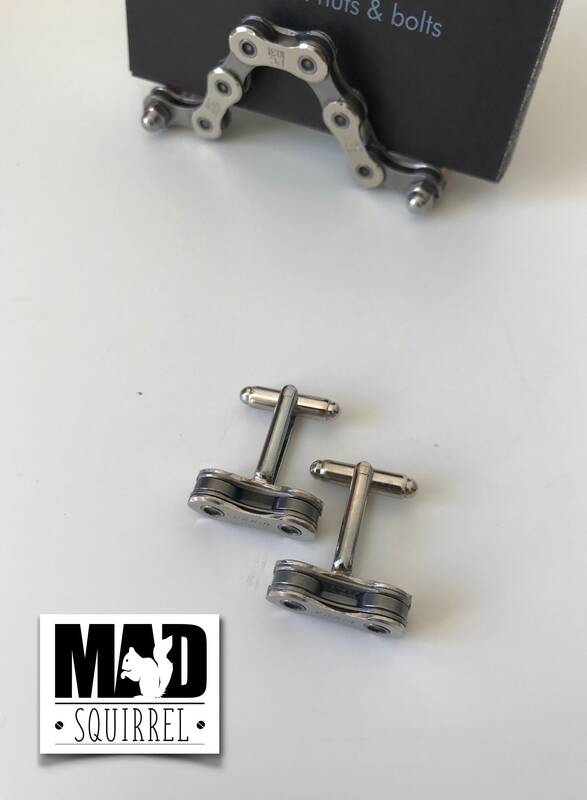 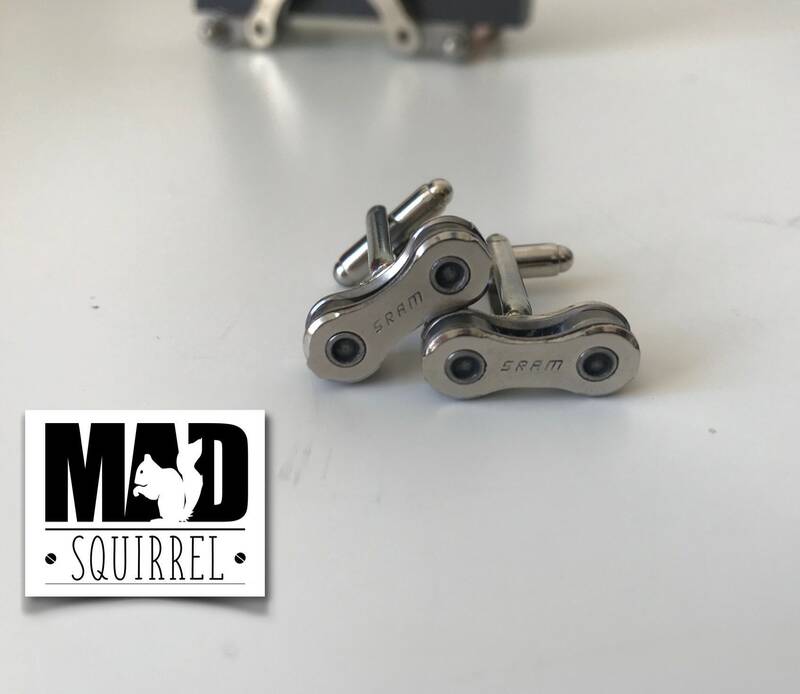 Both Chain Links have SRAM on them, as shown in the photos, they are made from new SRAM chain which has been cleaned and the Cufflinks have been polished once finished. 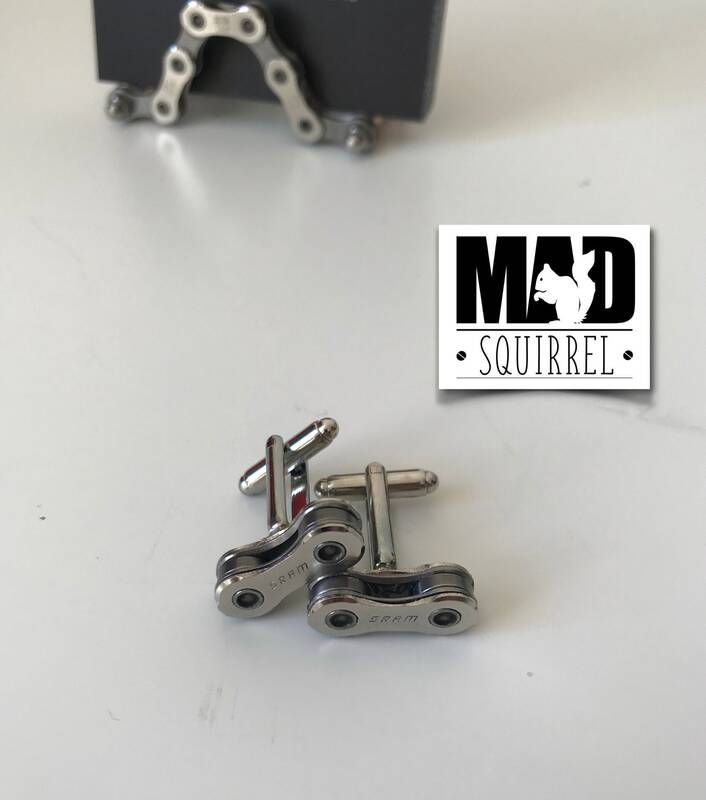 The rear is soldered to give a very strong fixing and are silver plated. 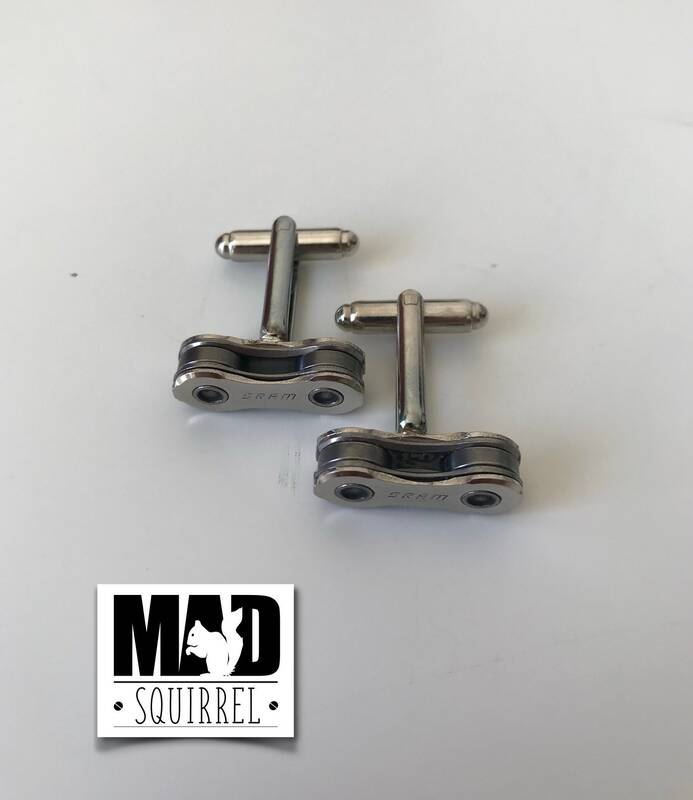 They make a great gift for that cyclist you know or for yourself. 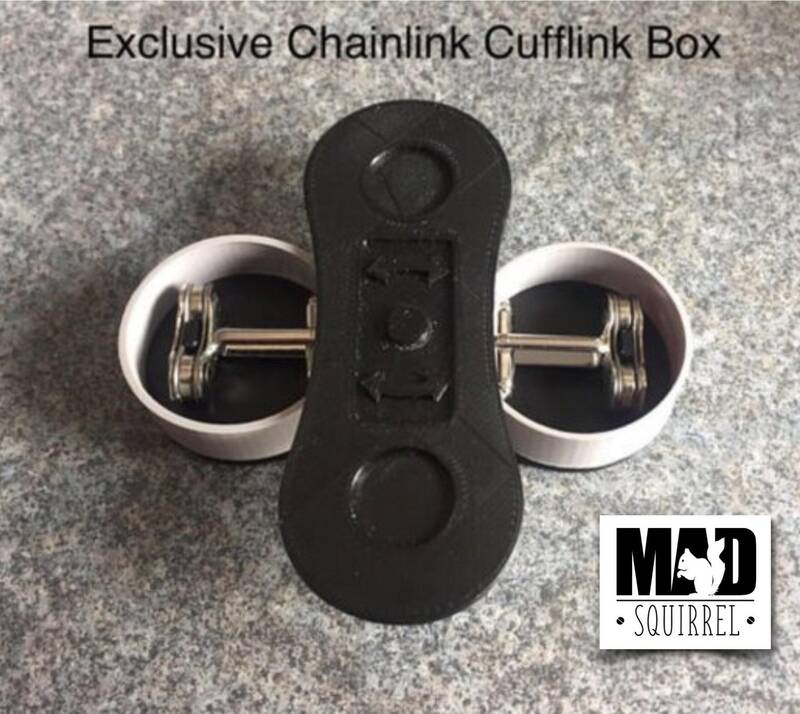 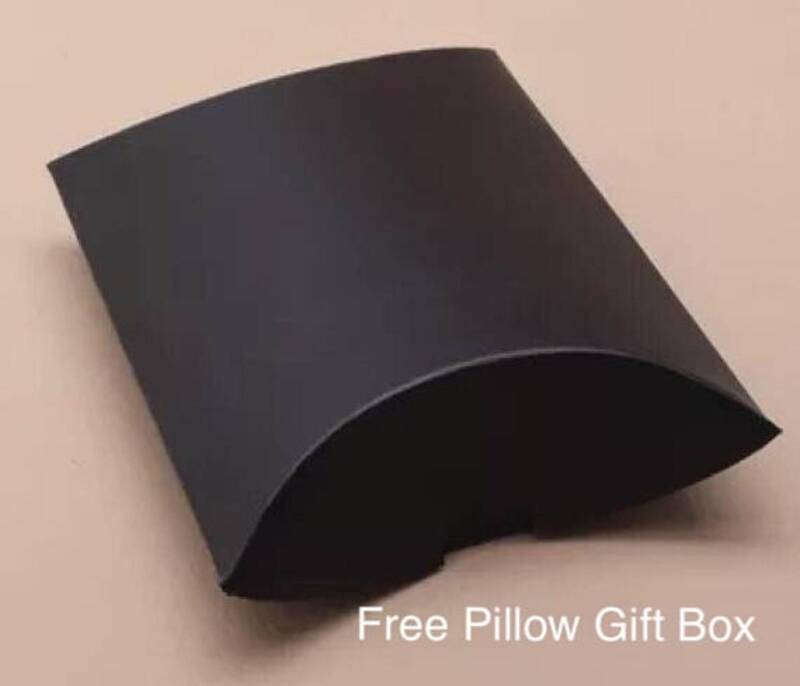 Come with a free Pillow Gift Box or our Chainlink inspired gift box, made by MADsquirrel. 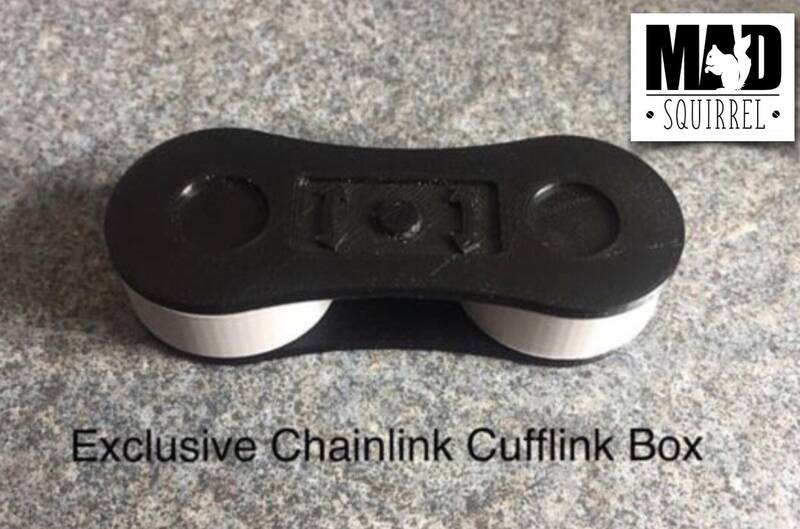 If you have any further questions please just message me.